La Trobe alumna Jodie Wiegard and workmate Em at Morley’s Emporium. We’re at Morley’s Emporium, central Bendigo, and the soundtrack to Monday is on high rotation. Jodie admits this is not your usual workplace. Even with the doors closed to customers, there’s an energy here. And it’s not just the music. 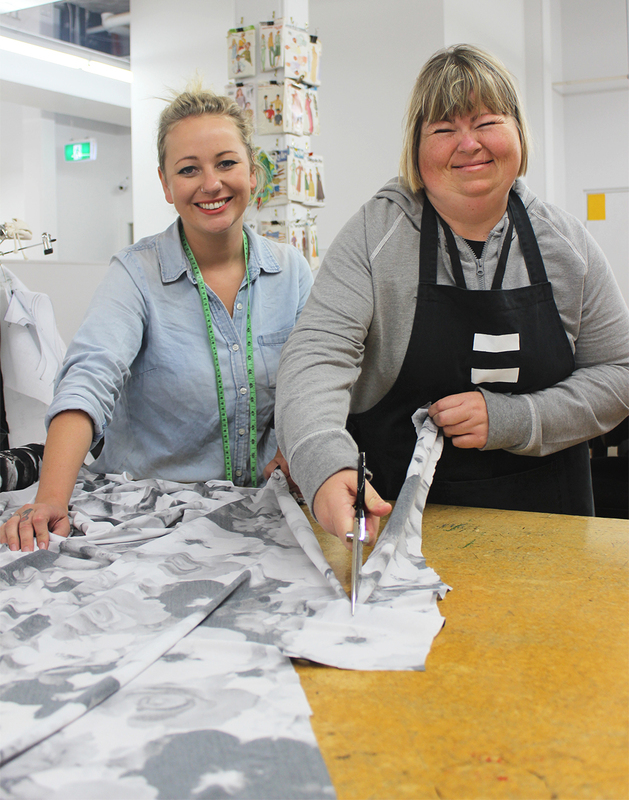 Morley’s Emporium is a social enterprise run by disability services provider Radius. Part café, part retail store, part design house, the business is an all-abilities workplace offering a rare opportunity for its employees to gain some pretty darn cool skills. Jodie is the production manager. She gradated from La Trobe’s Bendigo Campus in 2012 with a Bachelor of Creative Arts, with a major in photography and minor in ceramics. After eight months heading the crew here, she’s still pinching herself that an opportunity like this exists in Bendigo. “I love it. I just love it. It’s rare to find a place like this,” she says. Jodie was working as a photographer at the Bendigo Advertiser, when she was sent to cover the renovation of the Morley Johnson building in the CBD. The prominent historic building had been empty for some time before Radius brought it back to life. Making patterns. Picture by Jodie Wiegard. “I was photographing the CEO and we got chatting about this job that was coming up,” Jodie says. 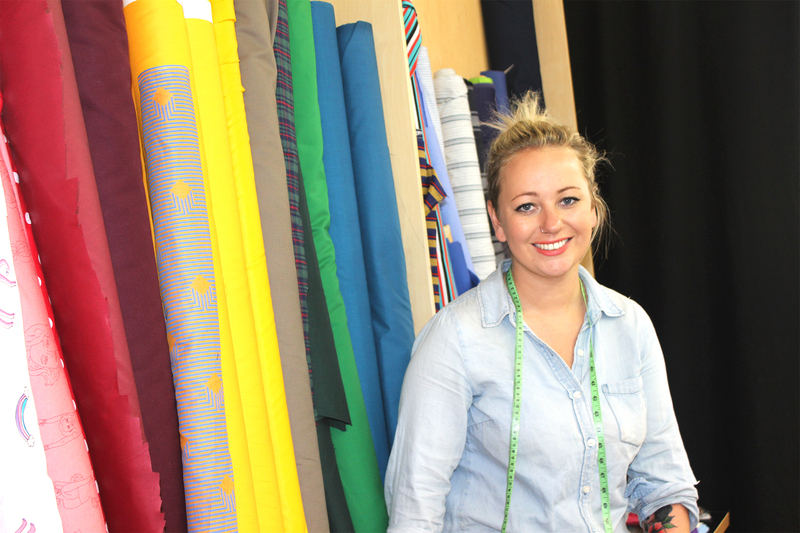 A couple of months later, she was here, pursuing a love of fashion and textiles that had started in high school. 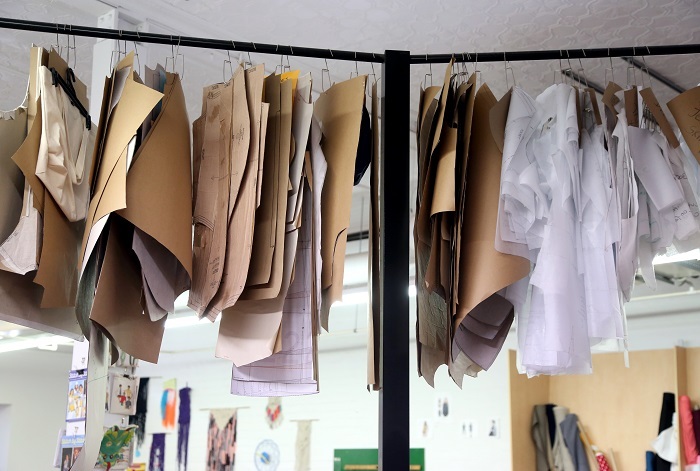 Jodie has around 25 staff in her team – mostly assisted employees – involved in every step of the business’s fashion design label. 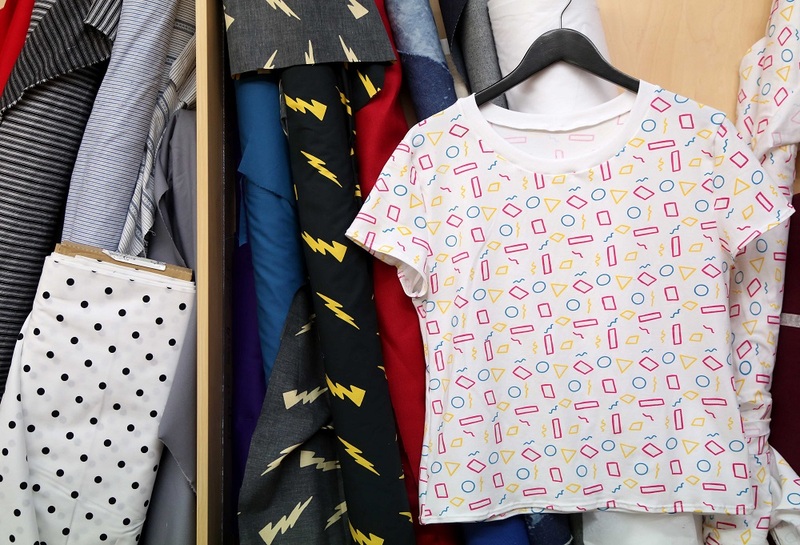 They design garments, homewares and fabric prints, they screen print, sew, brand and merchandise the goods, which include clothing, cushions, wall hangings and macramé pot holders. All the cool stuff. 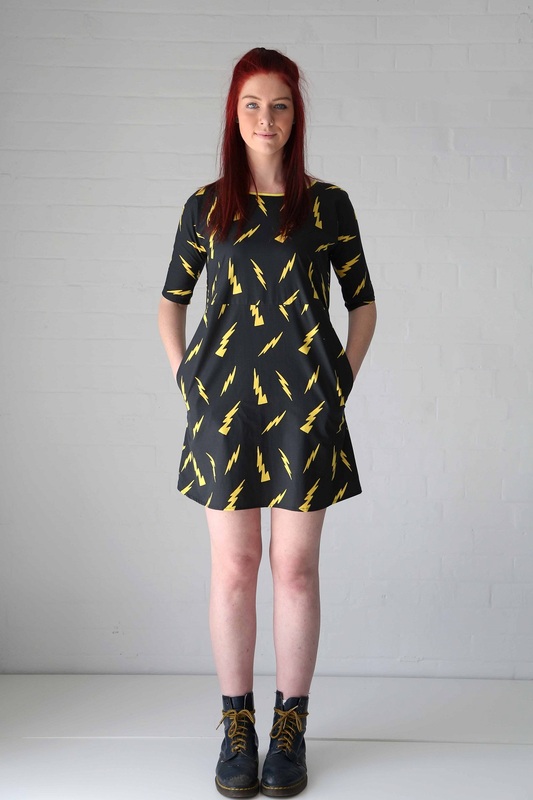 Jodie describes the in-house label, Billie and Birdie, as “unique and edgy, with a touch of grunge”. Original T. Picture by Jodie Wiegard. A Morley’s screen print. Picture by Jodie Wiegard. “Everyone who works on this level is super creative. It’s a creative, fun space to be. They’re all amazing drawers. We all draw. 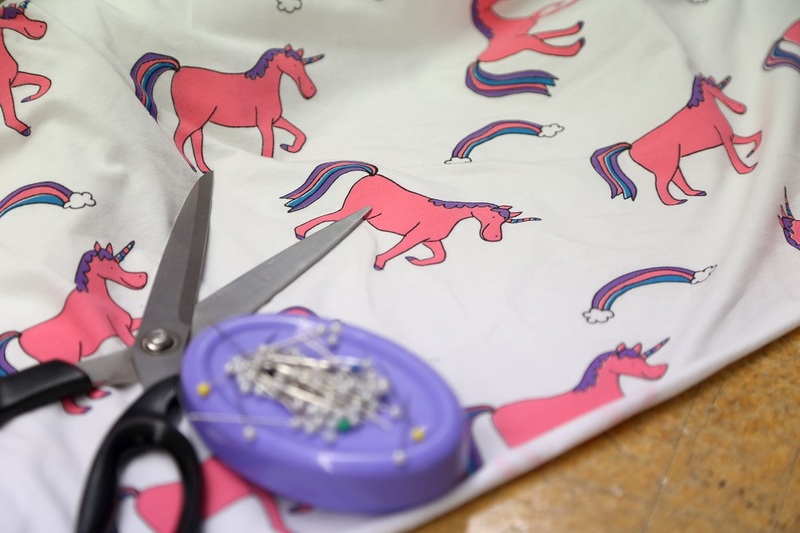 We play around until we say ‘that’s awesome, let’s put that on some fabric’. Jodie says this place is changing the lives of people with a disability. Radius has long operated social enterprises to assist people into employment. But this is different. In the past, for example, the sewers were solely making calico bags from a factory on the city’s edge. 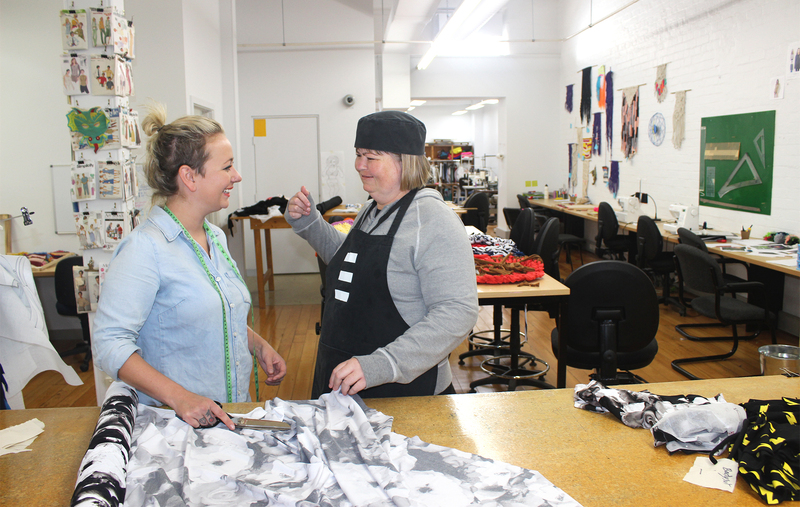 Now, they’re right in Bendigo’s heart, making fashion garments. “There’s a lot more variety compared to what they used to do,” Jodie says. If it fits the store’s design aesthetic, the team here will have a go at making it. “I’ve bought in my old pottery wheel so I can give people here some pottery lessons, and I’ve spoken to La Trobe about using the kilns on campus to fire our work,” Jodie says. She says even just being in the CBD has changed lives. Assisted employees have found new independence being able to catch the bus to work, go to the library or the shops in their lunch break. As Jodie chats, a couple of her team head out to purchase tickets to the Bendigo Art Gallery’s Marilyn exhibition. She gives us a demo of her favourite words to sign. Turtle. Turkey. Champagne. Yes, life here is a celebration. Fashion photography by Jodie Wiegard. Great story. Morley’s Emporium is fast becoming a Bendigo icon. Makes you proud of Bendigo doesn’t it! Yes it is a great and happy story, Lauren.